Introducing… Honey Bunches of Otis! Hi Everyone. My name is Honey Bunches of Otis – Otis or Otie for short. Fostermama says she named me that goofy name because it’s her favorite cereal I am sweet like honey. I would agree except I don’t know what honey is. I’m not an old dog, despite how wise I look. I’m probally between two or three years old. I’m different than a lot of the adoptable dogs you meet because the last year of my life is well known and is full of a lot of love. But despite how much love I’ve gotten, no one has really figured out what makes me happy. You see, I originally came from this place they call a “hoarder”, and I spent most of my life sheltered in a box. I was safe from everything! So when they broke me out of that place, everything was new and weird to me. Most of the time now when I see something new and weird, I just want to go hide in a box. They call me a “scaredy cat” – but I keep trying to tell them I am a dog! I like doing doggy things like rolling around in the grass and chewing on toys and galloping through the woods. I may not be as brave as some of those other dogs, but I can wag my tail like the best of them! I’ve learned that a good way to be braver is to find a human to protect you. My humans are very important to me, and I like doing everything with them! I repay them for their protection in snuggles, kisses, and extreme tail-to-body wags. Do I look familiar? That might be because I have been with fostermom before. Even though the first time I was with her was for a two week vacation over the summer when I transitioned on to my second forever home, she says this time I am not just on a short vacation. She says I am here until I find my REAL forever home – which I guess means the one I will get to live in for the rest of my life. That sounds like a really nice idea. Besides, I like this place for now. It’s quiet and familiar and it doesn’t have many things that scare me. I can finally relax, which is something I haven’t been able to for a long time. It’s funny how this thing called relaxing is making me feel better already. I don’t have to worry about my big scary sister who would bounce and bark and bully me around all the time. I don’t have to be nervous about little humans running around. I can just be a dog, which is something I’m slowly remembering how to do – and it’s fun! Today fostermom took me to the creek and I remembered how much I love water! Fostermama says I’m going to remember a lot about being a dog over the next few weeks, and that you all are going to be here with me as I improve. I think I am liking this bloggy world already. So nice to meet ya! 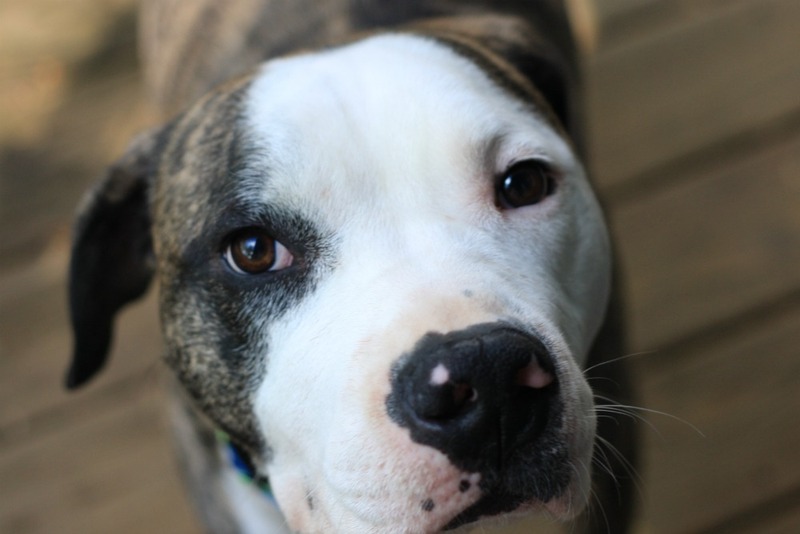 This entry was posted in Dog talk, Former Fosters, Otis, Rescue/Humane Society, Uncategorized and tagged for adoption, fostering, new dog, new foster, Otis, pit bull type dog, rescue dog. Bookmark the permalink. what a sweet face! 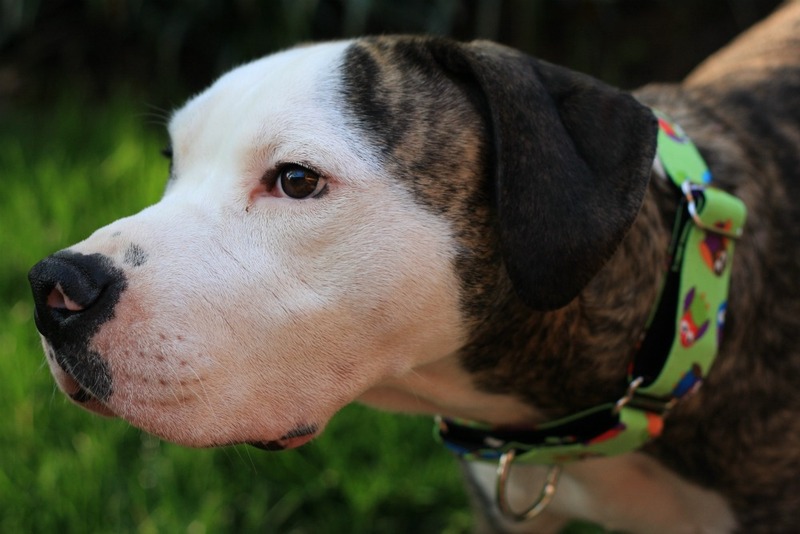 Hope Otis comes out of shell and finds his REAL forever home soon! We’re looking forward to reading more about you, Otis. You’re an absolute doll. Ugh I was SO psyched Otis was back! Cant wait to learn about him! What a sweet face, Otis! I’m excited to learn more about you! Hello Otis! Huge fan of your collar here. I am so happy to meet ya!! You are so handsome and I am glad you have someone to take such good care of you. You deserve it!! I am praying for you that you find your forever home! Happy Easter to you and your fostermom!! It’s lovely to meet you, Otis! I am sorry your second foster home didn’t work out but I am so glad you were able to get back with your fostermama to find your final final forever home. You are definitely in the right place for that! I can’t wait to read more about you! Can’t wait to hear about all of Otis big adventures. Otis look a bit like my Maggie in my avatar. Hi Otis! It sounds like fostermomma’s house is the place to be! You wouldn’t want to be in our wild and crazy house, that’s for sure! I can’t wait to hear more about all the bravery you’ll be getting as time goes on!